I have recently deployed Configuration Manager 2007 R3 beta (refresh) in production at my TAP customer. Below I will outline the steps for deploying Configuration Manager 2007 R3 beta. Disclaimer: You are not allowed to install any beta products in your production environment!!! This is only allowed for selected TAP Customers !!! Always install beta products in lab environments !!! This blog post highlights R3 the beta upgrade preparation on your SCCM 2007 SP2 environment . You need SP2 in order to be allowed the installation of R3, so if you did not upgraded your environment , this is the first step ! We talk further about the actual server upgrade and validation tasks. Site Server (Central Site) Hotfix KB977384 & R3 Installation Always install This site needs to be upgraded first. Site Server (Primary Site) Hotfix KB977384 & R3 Installation Always install These sites needs to be upgraded secondly. Site Server (Secondary Site) Hotfix KB977384 & R3 Installation * Always Install These sites needs to be upgraded after the primary sites because you will need certain included R2 features. Site Server (Central Site) Hotfix KB977384 & R3 Installation none This site needs to be upgraded first. Site Server (Primary Site) Hotfix KB977384 & R3 Installation none These sites needs to be upgraded secondly. 1. You don’t need to install R3 on secondary sites if you do not use any "Proxy MP" or "AD discovery" feature at your secondary sites if you only use the "Power Mgmt" feature through your organization & run "AD discovery" on your Central or Primary sites. 2. You do need R3 on your secondary sites if you do use the "Proxy MP" functionality or "AD discovery" at your secondary sites. If you are planning to use these features in secondary sites you need to install R3. Since most customers do use proxy MP role on secondary ,you need to install R3 there as well. Take a ConfigMgr Site Backup and verify that it is successful. Install the server side hotfix (KB977384) (included in the dowload of the R3 media) .This hotfix, which comes with the R3 of SCCM 2007, is a prerequisite for SCCM 2007 R3. During the installation it also creates a SCCM Package/Program containing a MSP file allowing to update SCCM Advanced Clients Components. This client hotfix package has to be deployed to all ConfigMgr 2007 SP2 clients before power policies can be managed. Click “I accept …”to continue and select “Next”to continue. The Hotfix starts to install. It will prompt you to create a Package & Program for later deployment to your Configmgr 2007 SP2 clients. Specify the package source & click “Next” to continue. During the hotfix KB977384 installation, the source bits for the client hotfix package will be copied into the client\i386\hotfix\KB977384Beta folder. Look if the bits exists in that folder. After successful installation of hotfix KB977384 pre-requisites, execute R3 beta (refresh) installation from the installation source location using SPLASH.HTA. Follow the screenshots below to complete the installation. Accept the license agreement and Click “Next” to continue. Verify that the SMS_Def.mof has been appended with R3 specific WMI classes, without any changes to the pre-existing class definitions. Go to the ConfigMgr Console, navigate to [Site Database] – [Site Management] – [Your site code] – [Your site name] – [Site Settings] – [Client Agents].You will see a new item called “Power Management Client Agent”. Go to the “Power Management Client Agent” properties and check the box “Enable Power Management on Clients”. Install SCCM Reporting Services Point. 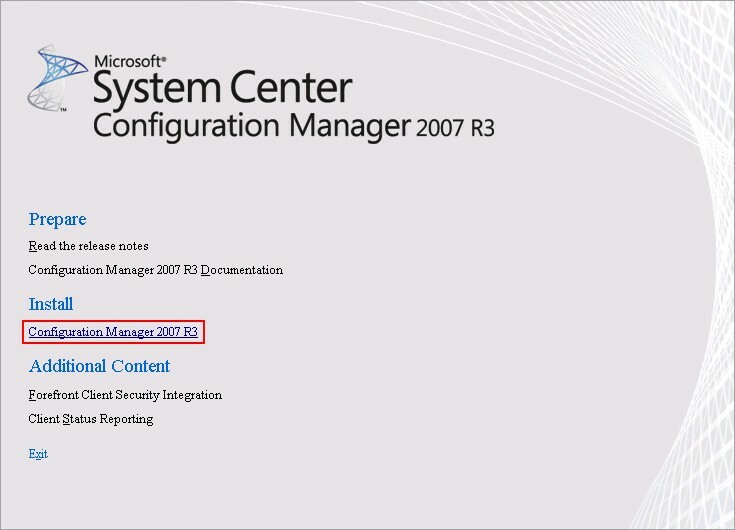 Power Management in SCCM 2007 R3 contains a number of reports to help you to analyze power consumption and computer power settings in your organization. These Reports require SQL Reporting Services which was introduced in SCCM 2007 R2.If you never worked or used SRS reporting , get used to it , because it will be the only reporting functionality left in Configmgr V.next. Note : I am not going to explain how to set-up SRS reporting . You can find guidance on Technet or the online help . Copy SCCM Reports to Reporting Services. Power Management in SCCM 2007 R3 gives you 17 new reports. Fill in your credentials and Click “Next” to Continue. Select “Import Report Definition Language Files From Microsoft Signed Cabinet File”. Browse to the "%SCCM installation folder%\Reports\Power Management" folder and select the MicrosoftReportPack.cab file. Click "Open” to Continue. Look if all reports are selected and Click “Next” to Continue. Look at the status and see that all reports are imported successfully. Click “Next” to Continue. Look in the SCCM console if the reports exists.You can run all Reports from the SCCM Console now. After the R3 installation is completed on the site server, the next step is to deploy R3 hotfix to all SP2 clients to use all R3 features.Look for the Client hotfix package & program that where created during installation and must be available under ‘Software Distribution’ and then look for the Packages Node. Deploy your package to all your Distribution points, before deploying the package to all clients. Create your deployment collection(s).Deployments should be done in multiple phases.Start with a Test/Pilot group and the second wave should be per site/region.You could use “Link to Collection” for avoiding creating to much collections. Creation your Advertisements.There are no special requirements in creating advertisements for this deployment.